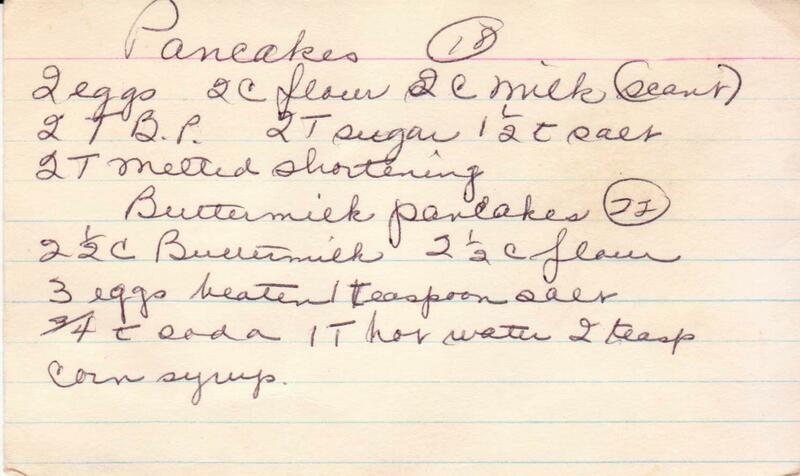 Here's a cake anyone can make -- pancakes! As I whipped up a batch of this morning, I thought how brilliantly easy they are and what instant gratification (and gratitude) they provide. With just a few simple ingredients that are probably already in your pantry, you can start the day with these toothsome and nourishing breakfast cakes. Perhaps the most appealing part of this recipe (from a "new" box just purchased from a Colorado eBay seller), is its simplicity. It's just "pancakes," and not some triple cream macadamia nut concoction that's found on a million restaurant brunch menus. 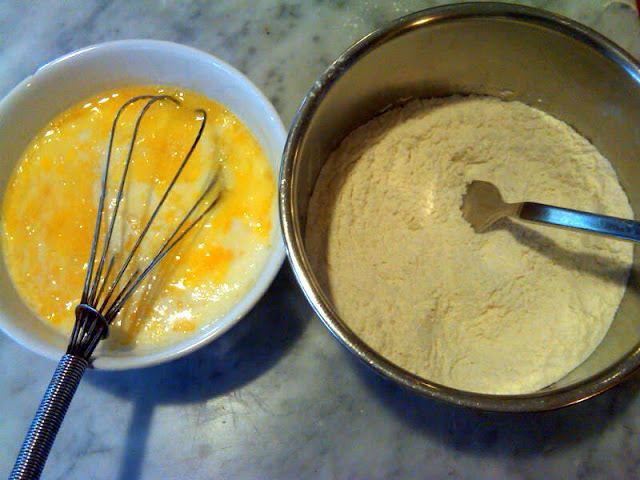 Simply mix the wet ingredients (milk, egg and melted butter) in one bowl and the dry (flour, baking powder, sugar and salt) in another. Combine until the flour is incorporated, but don't overmix -- this should be a lumpy batter. 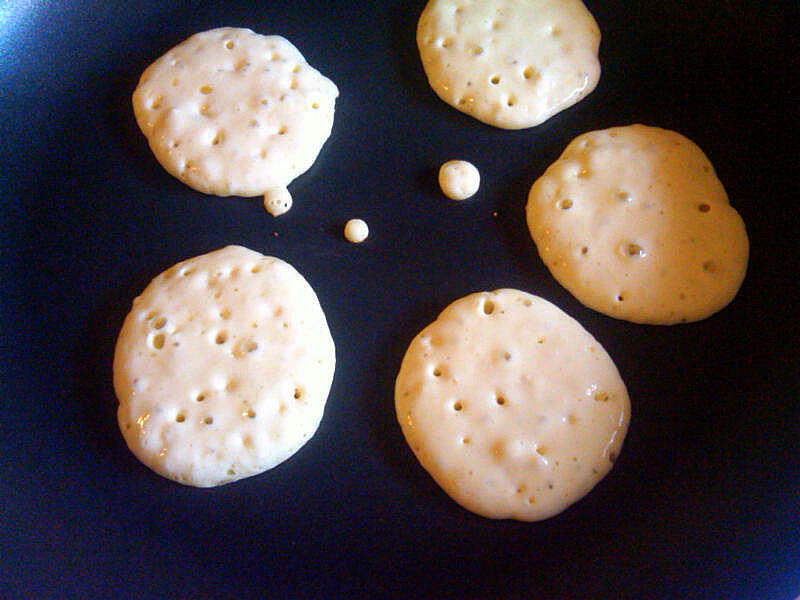 Spoon onto a preheated frying pan and let cook until the small bubble holes begin to appear. Flip and let the other side cook for a few minutes. And voila! It's breakfast. Add a pat of butter and plenty of real maple syrup. You can make the pancakes in any shape. When my children were young, I used to form their initials to their great delight. These days, I favor silver dollar pancakes -- small and round. Below is the recipe card. Because I didn't have any buttermilk on hand, I made the top recipe but I'll bet the buttermilk one is pretty good too. I love the photo of the stack of pancakes! Beautiful. Thanks, Sabine! My husband took that picture with his "real" camera -- he'll be flattered.